Red wine isn’t just for drinking, friends. 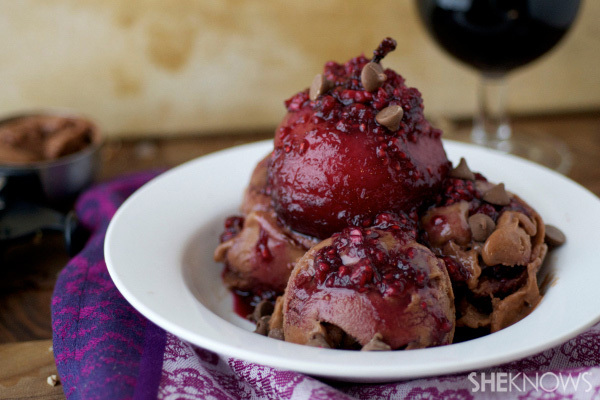 In fact, you can enjoy your favorite pinots and cabernets in dessert form, too, with these luscious and delectable recipes! These delicious recipes are made with the best seasonal ingredients, like chocolate and pears, and are not just delicious, but gorgeous too! 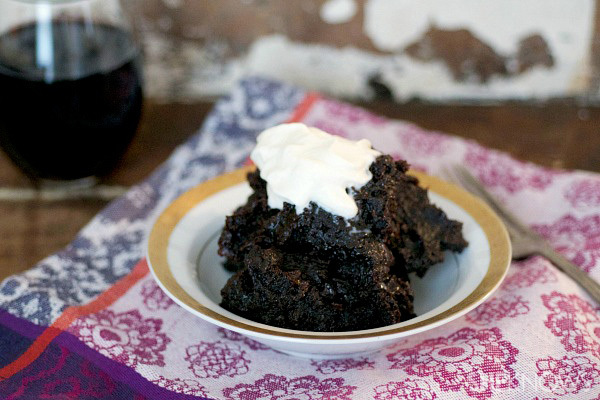 Forget pies or cookies this holiday season and make these perfect red wine desserts instead! Grease a slow cooker heavily with nonstick cooking spray. In a mixer, beat the chocolate cake mix, milk, red wine, oil and eggs until fully combined. Pour the mixture into the slow cooker. Sprinkle with chocolate chips. Set slow cooker to low and cook for about 2-1/2 to 3 hours, or until cake is set and chocolate chips are melted. Preheat oven to 450 degrees F. Liberally grease a doughnut pan with nonstick cooking spray and set aside. In a large bowl, mix together flour, sugar, salt, baking powder and cocoa powder until combined. Add in egg, skim milk, red wine, canola oil, applesauce and vanilla. Stir until ingredients are fully combined. Add in chocolate chips. Fill doughnut cavities about 1/2–2/3 full with batter. Bake for 7–9 minutes, or until they bounce back after you touch them. Let cool completely and remove from the pan. 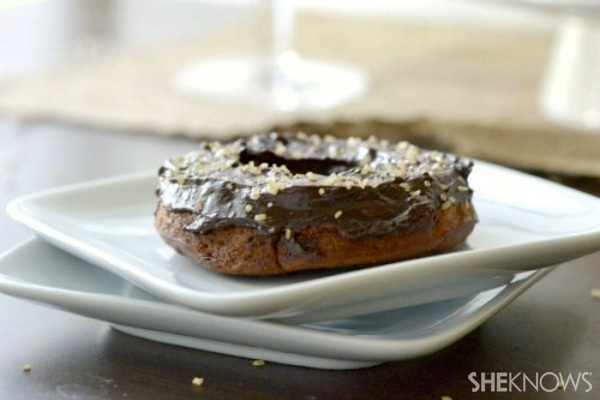 To prepare the glaze, place chocolate chips in a microwave safe bowl. Set power to 50 and melt for 1 minute. Stir slightly and melt another 30 seconds. Repeat (stirring every 30 seconds) until chips are completely melted. Using a knife, frost each doughnut. Sprinkle with sprinkles and enjoy!